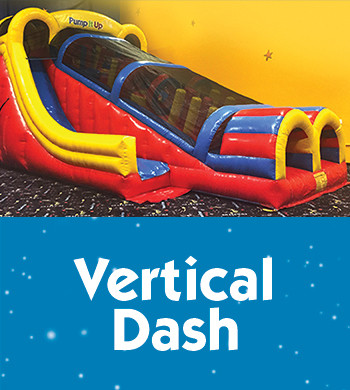 An obstacle course as you go up, and a slide as you go down makes Vertical Dash a classic combo! 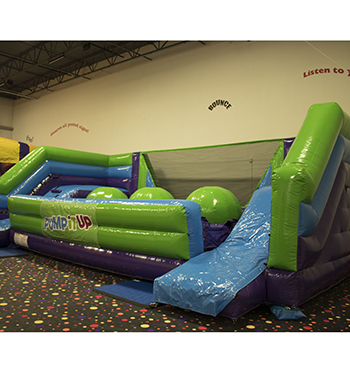 An obstacle course fun for all ages, including the little ones! 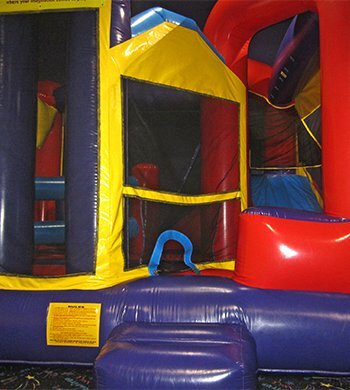 A combo of a bouncer, obstacle course, and slide all in one. A fan favorite, Canyon Crossing will challenge you by testing your balance and agility. 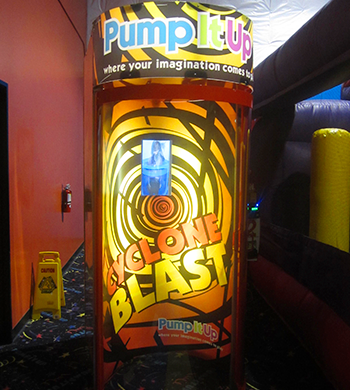 It's an absolute blast for adults and children alike! Slippery Slope - the game that sees just how high you can climb to rescue the flag. Race your friends and see who comes out on top! 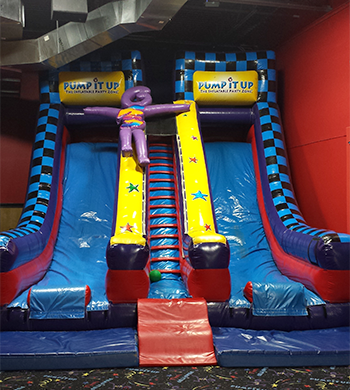 Race your friends down our 20 foot double lane slide, fun for kids of all ages! 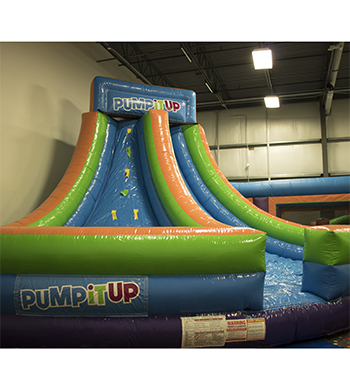 Challenge your friends to a game of ball or just shoot some hoops for fun with our basketball bounce here at Pump It Up. 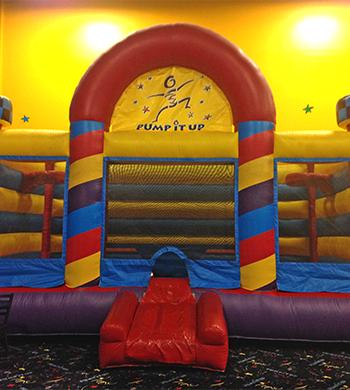 The basketball jump is perfect for kids of all ages! 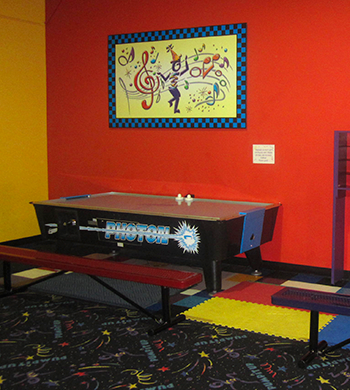 Challenge your friends in a one-on-one game of air hockey! Perfect for kids & adults! 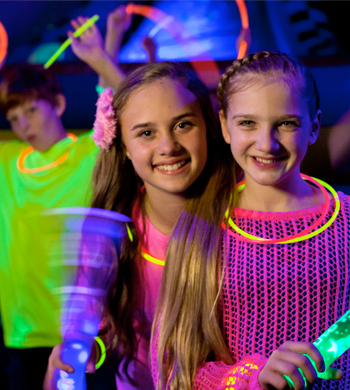 Add on glow to any of our party packages! A glow party includes a special glow shirt for the birthday child and glow necklaces for all the kids. Once you are in Arena B, we turn on our glow lights & strobe lights and let the fun begin! 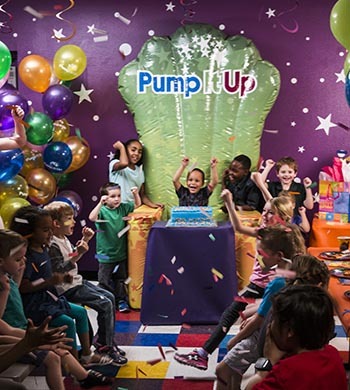 Our brightly decorated party rooms are perfect for any party! We supply all paper goods, untensils, and tablecloths. A designated party coordinator will set up your party room, serve your guests, and clean up afterwards so you can enjoy the party too!